Hometown: Santa Monica, California, USA Aliases: David Lucas An American voice actor known primarily for his work in anime dubs and video games. 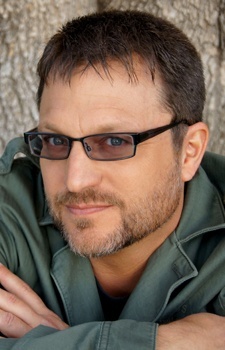 Fans of Cartoon Network's Toonami can recognize Blum's voice as TOM, the block's robotic host. He was also the voice of 7-Eleven's "Oh thank heaven" television and radio advertisements.Steven is currently the "disembodied voice"" of the podcast show http://goanimetv.com/ also works with Vic Mignogna making parodies of Budweiser's audio commercials called "real fans of genius" A veteran of the voice-over business, Steve Blum cut his vocal teeth in the industry, on anime shows like Guyver and Giant Robo, and since has voiced hundreds of diverse characters in productions representing every media imaginable! Steve's training was highly unorthodox by industry standards. Before voice acting became a full-time profession, Steve worked in a book store, a pet store, an auto-parts store, serviced fire protection equipment, ran a mailroom, drove a delivery truck, managed warehouses, became an international film and video sales/service coordinator, copywriter and marketing executive for a sci-fi film company, an ADR script writer, part-time musician... But where's the acting experience? All on the job. It started with a few monster growls, then a couple of old men's lines, a hero or two... thousand - and the rest is history. More than 15 years later, he's out there soiling microphones and barking, spitting, and yowling his way into your lives every day and actually making a living at it!